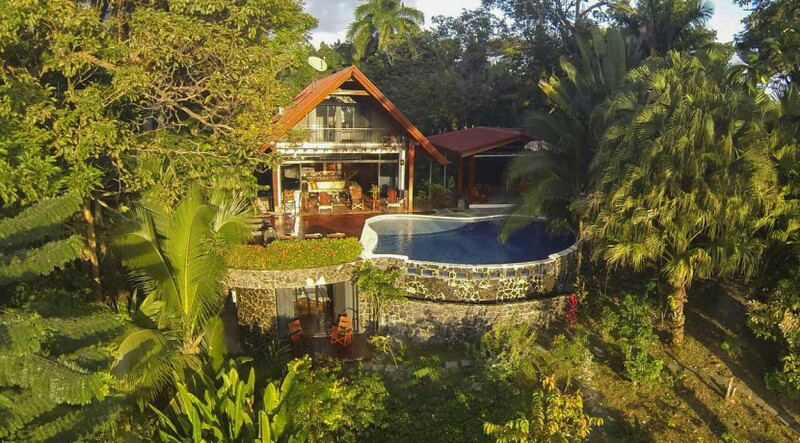 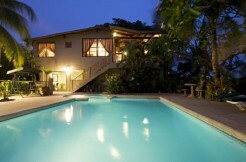 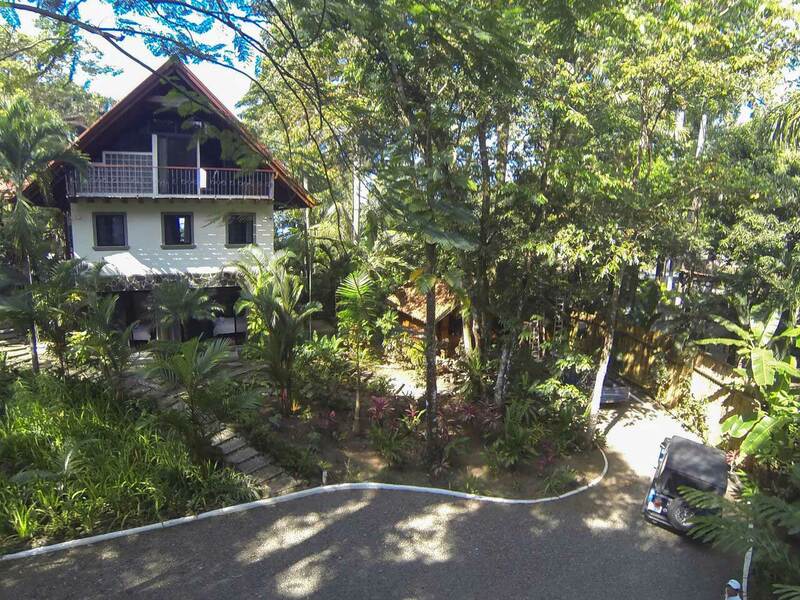 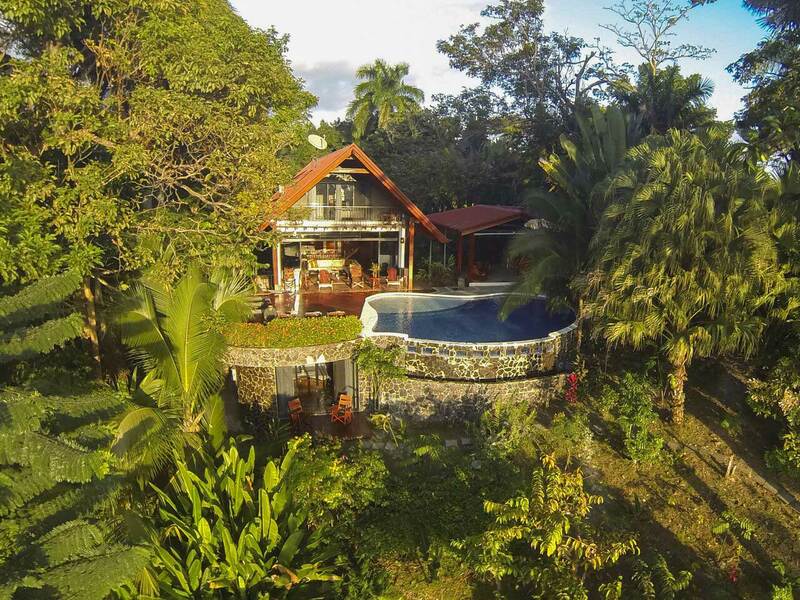 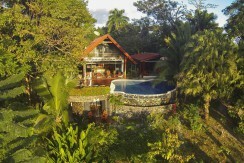 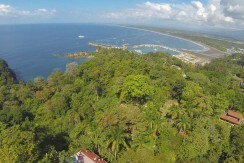 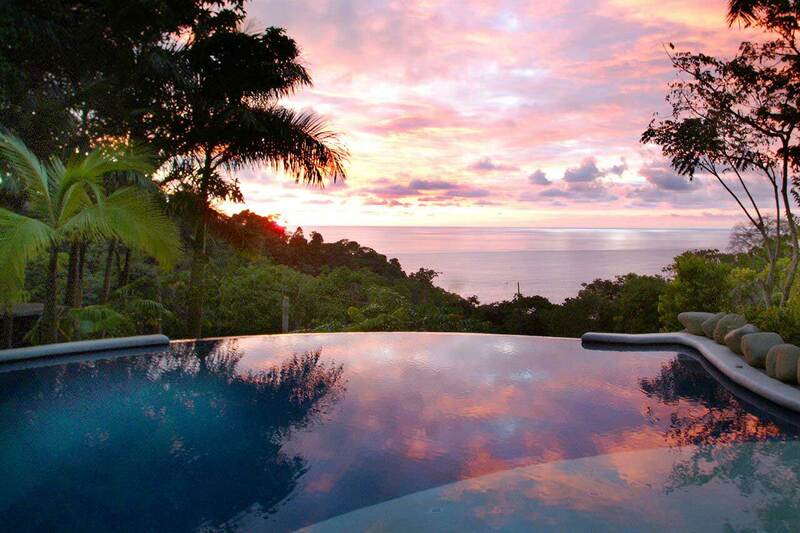 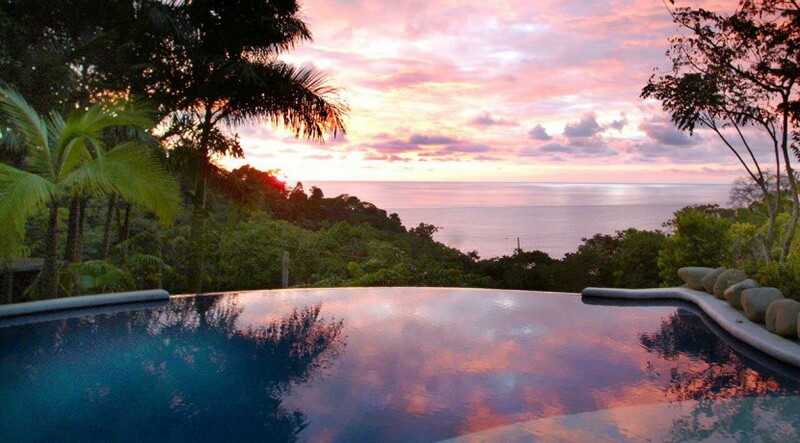 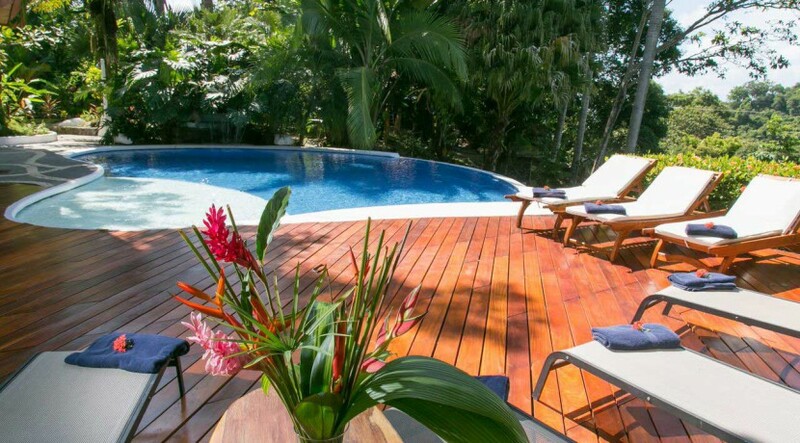 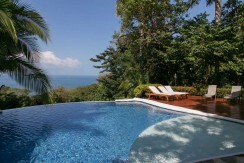 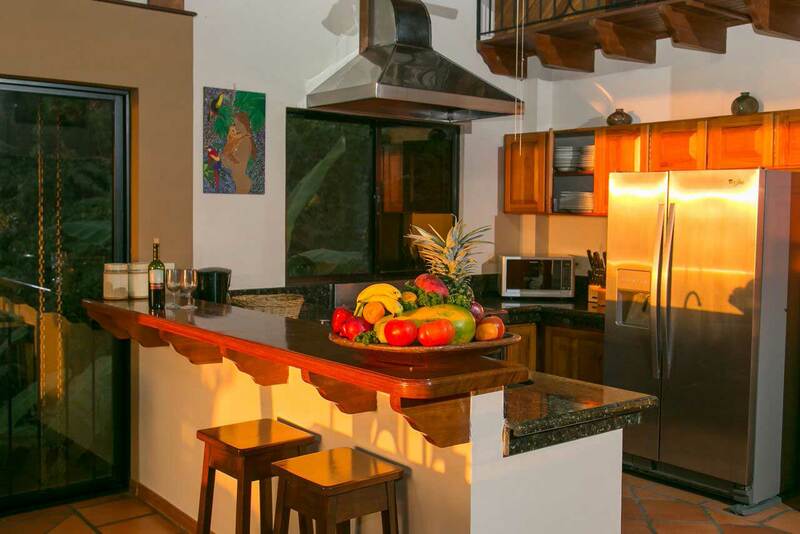 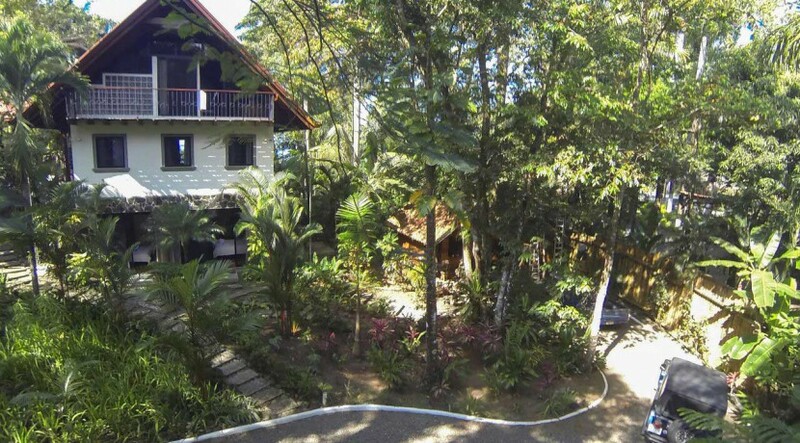 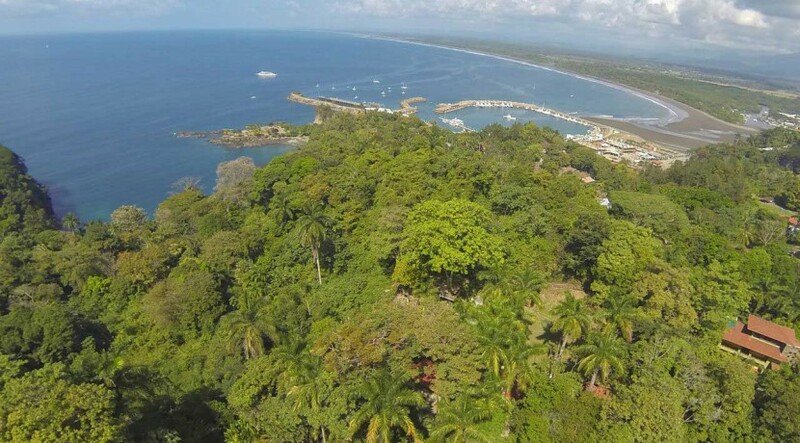 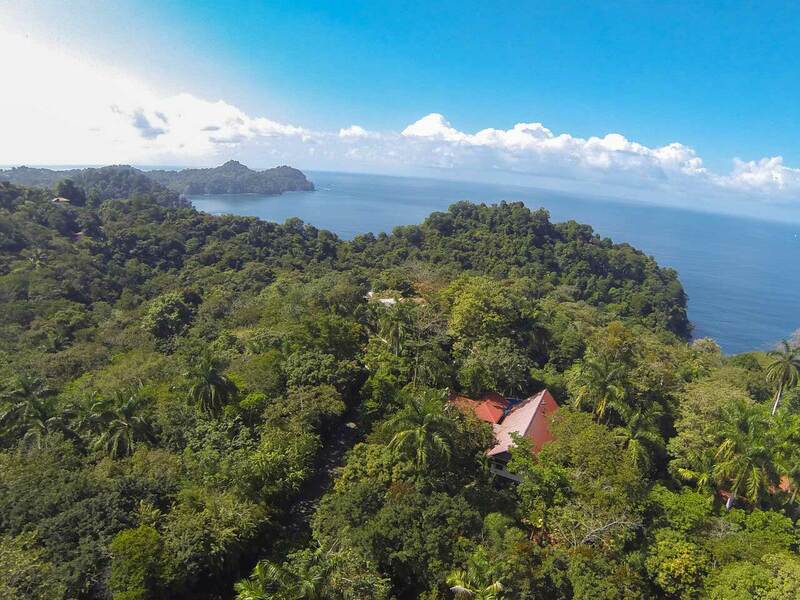 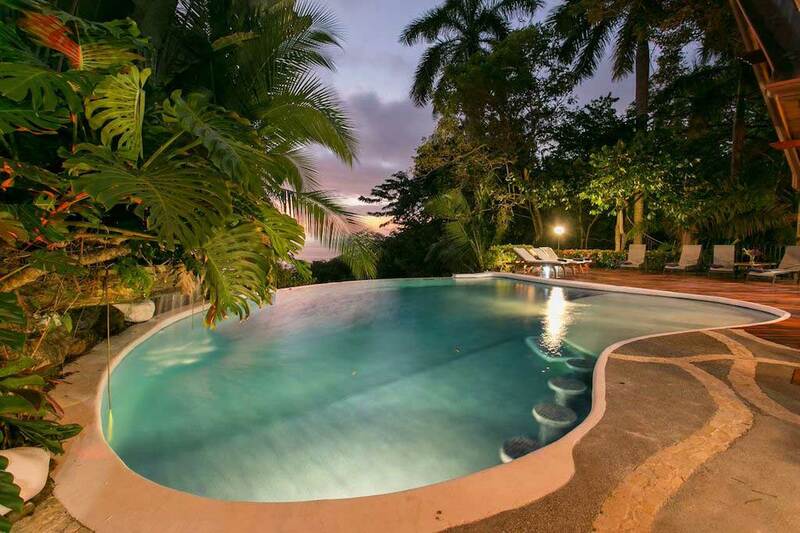 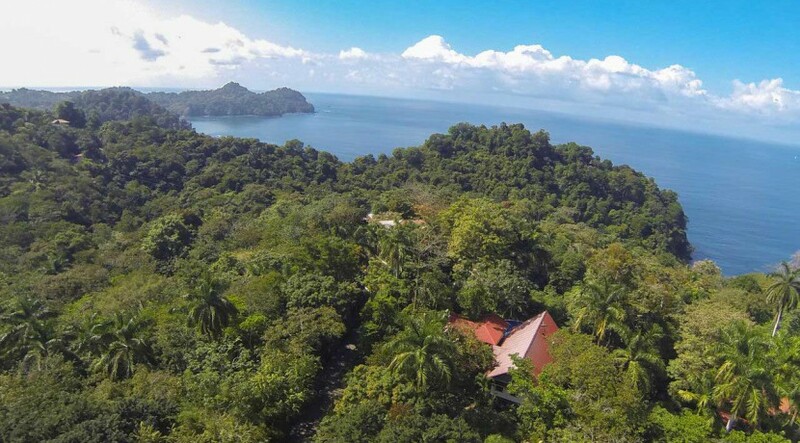 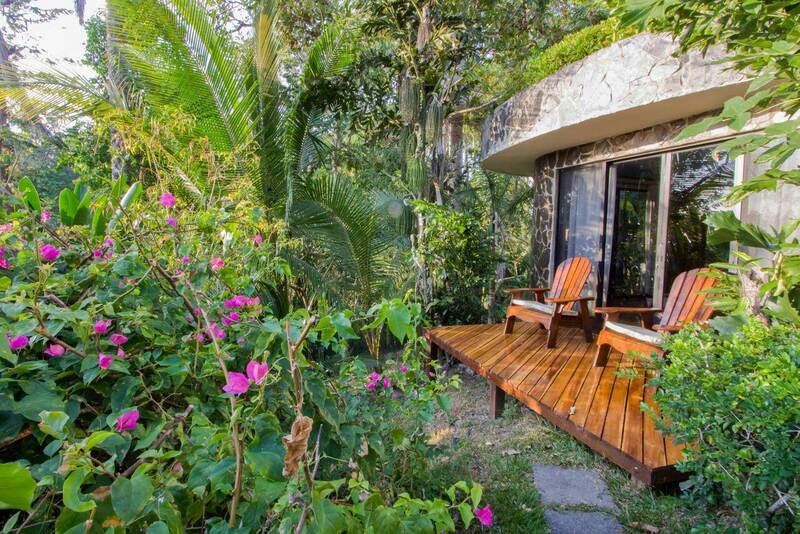 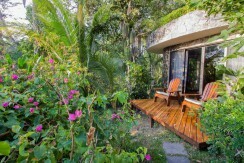 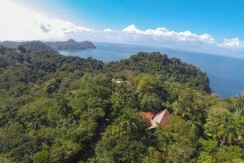 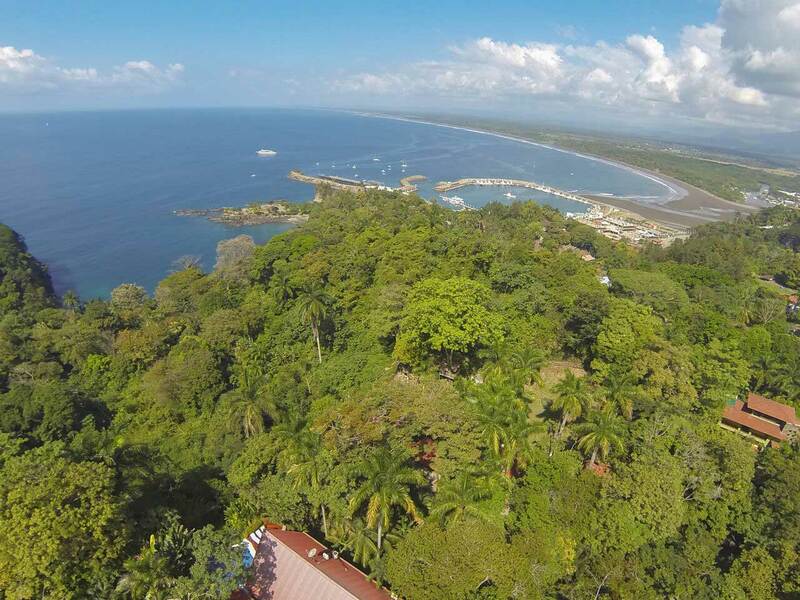 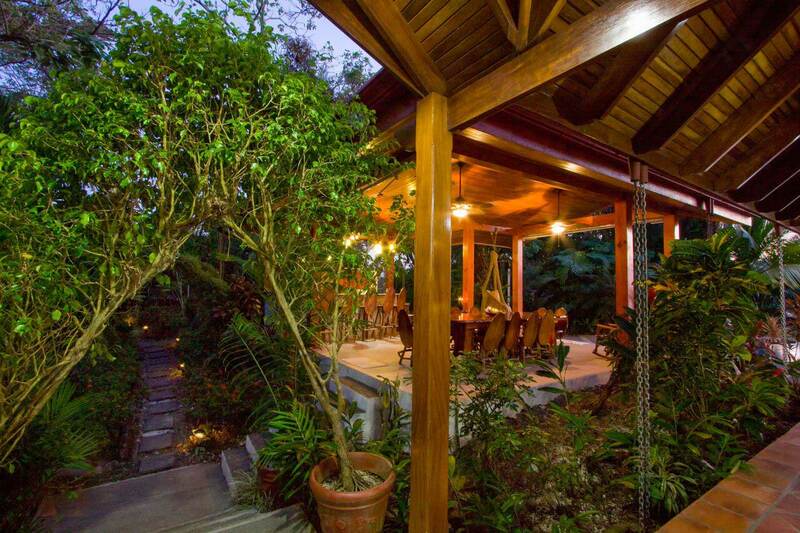 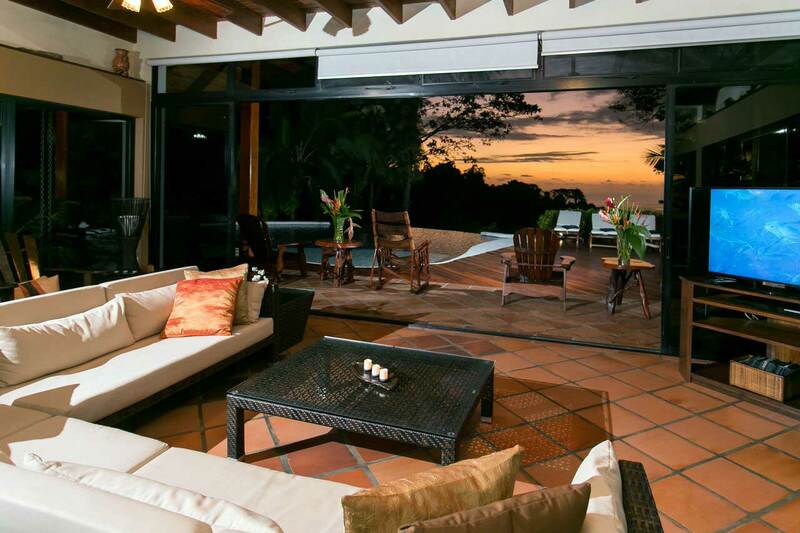 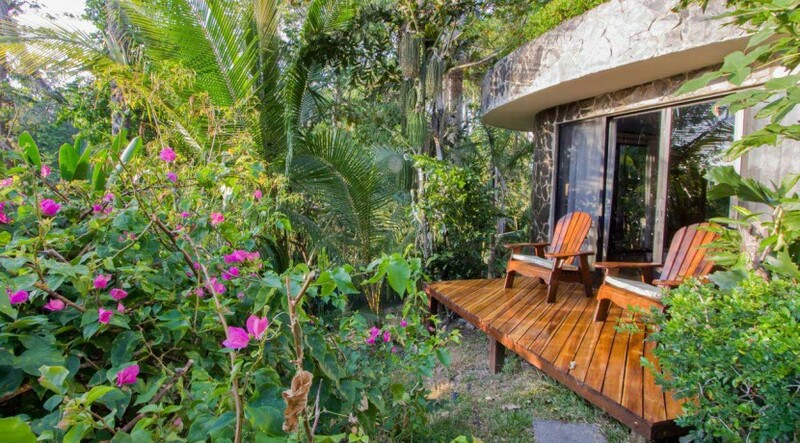 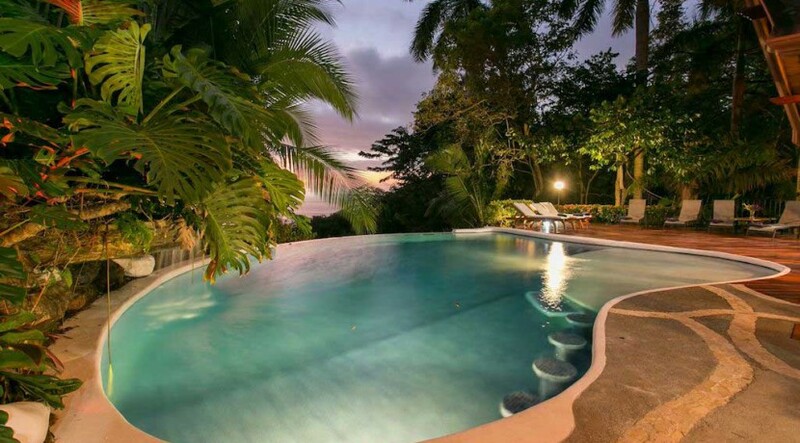 Welcome to this iconic property which combines one of the most private locations in Manuel Antonio with a convenient location close to Marina Pez Vela and all the amenities of the area. 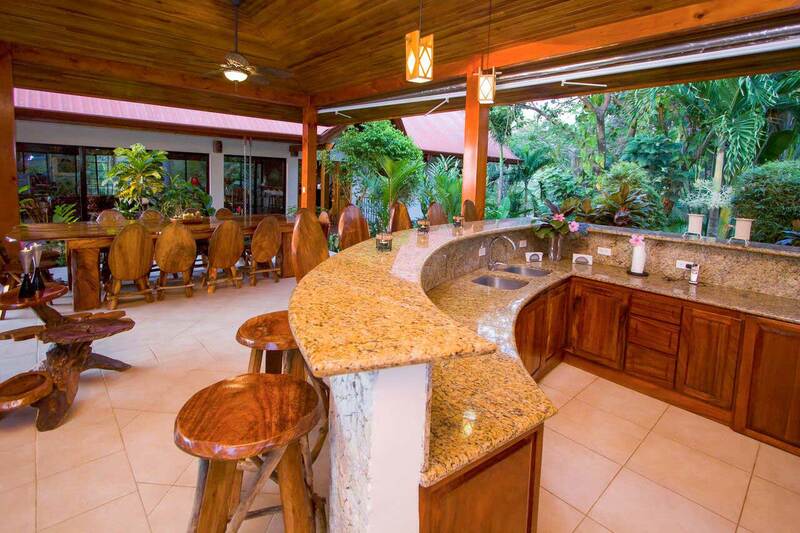 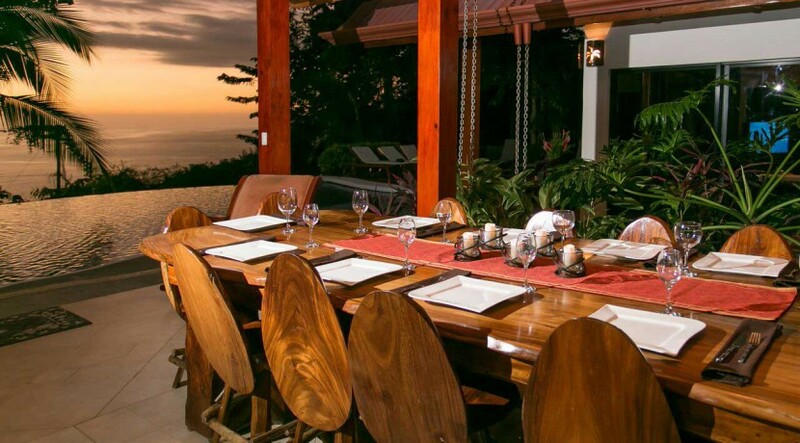 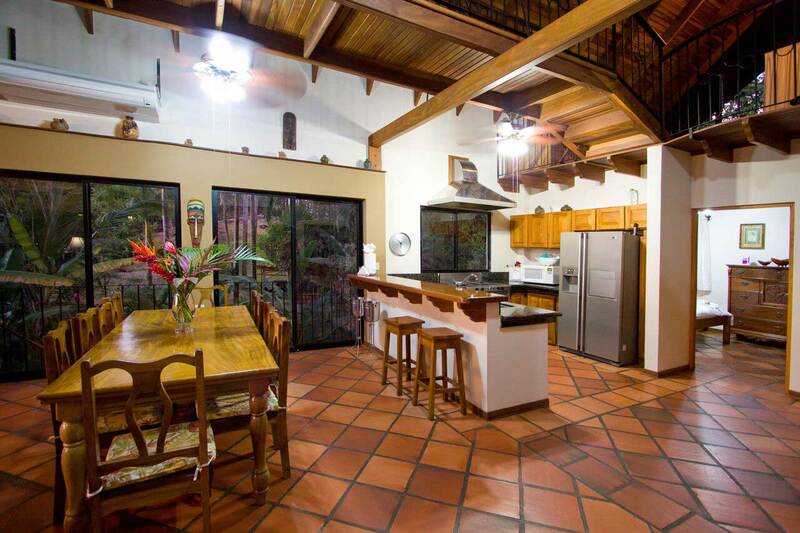 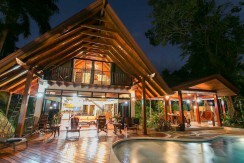 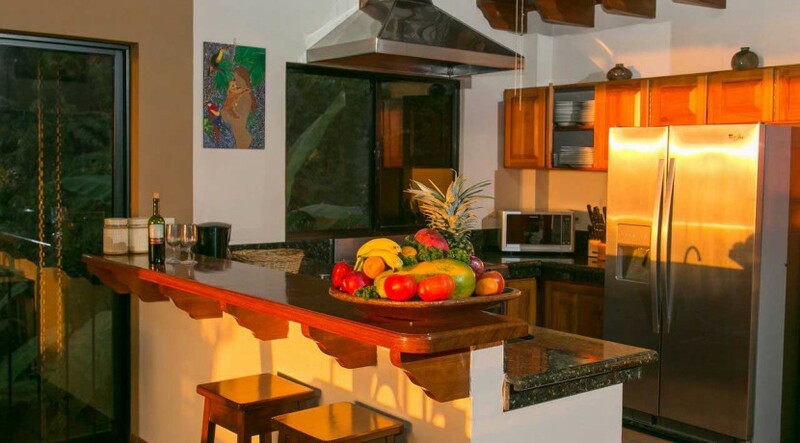 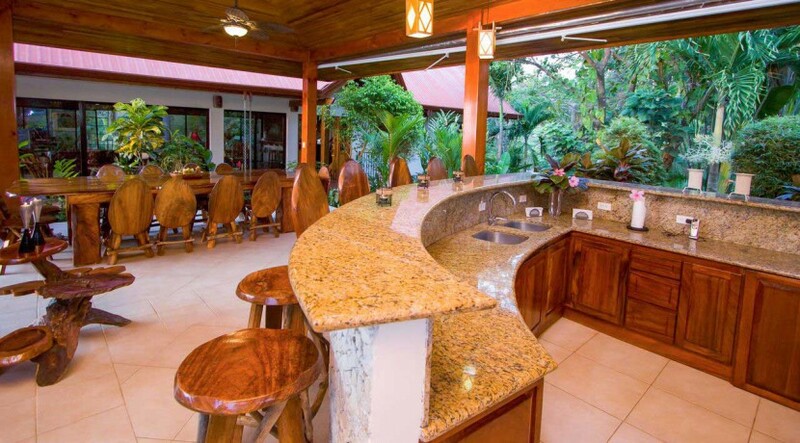 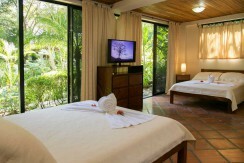 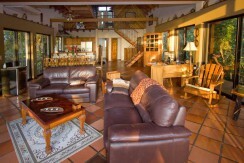 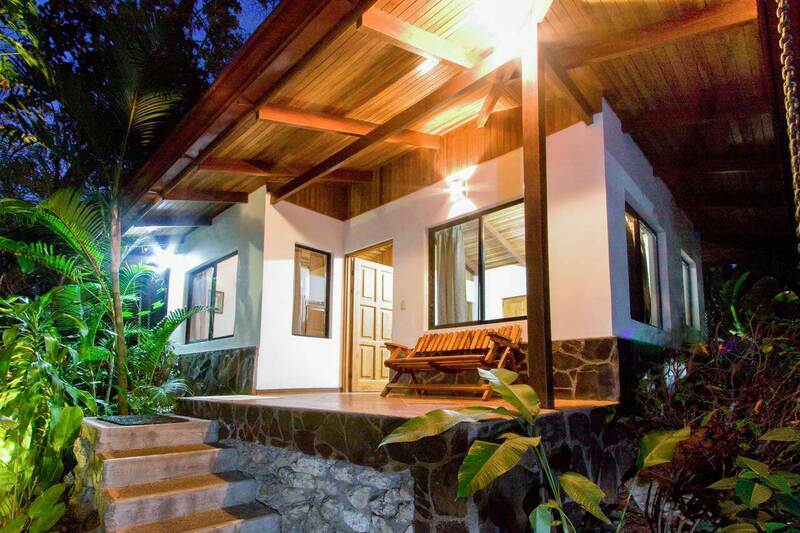 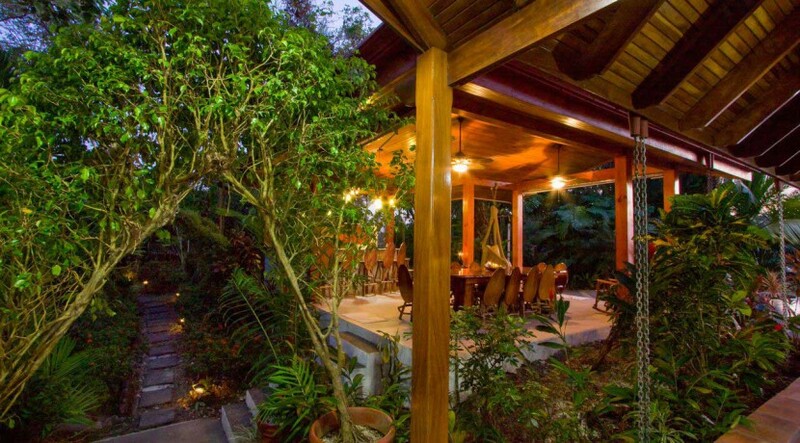 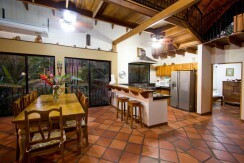 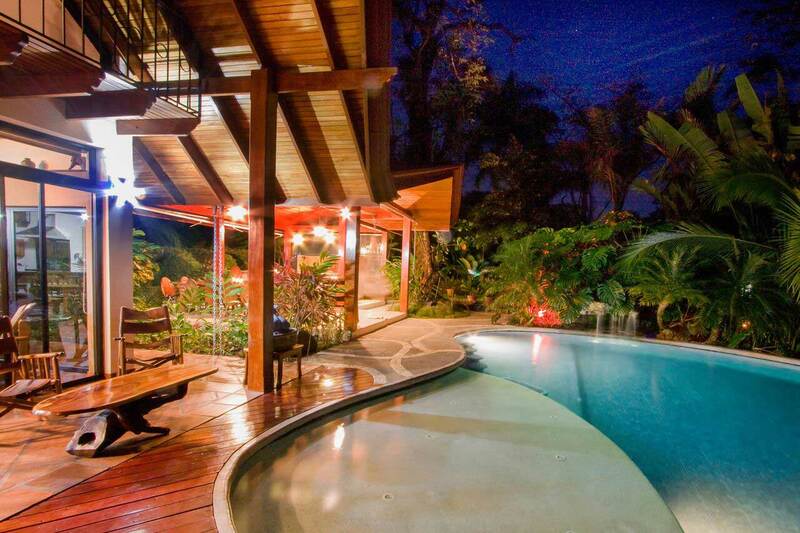 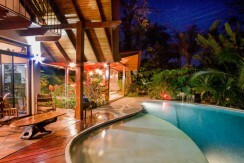 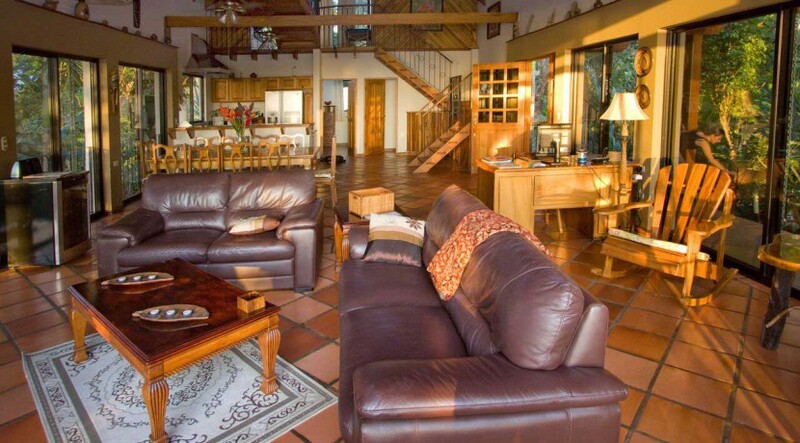 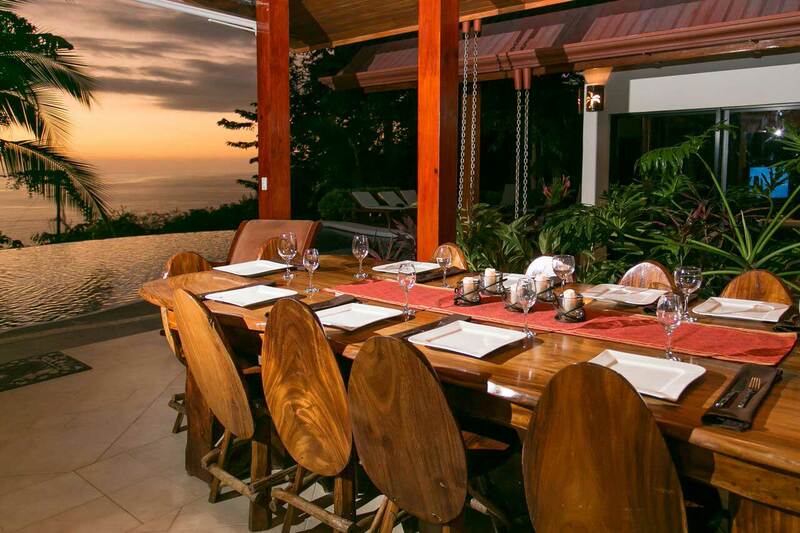 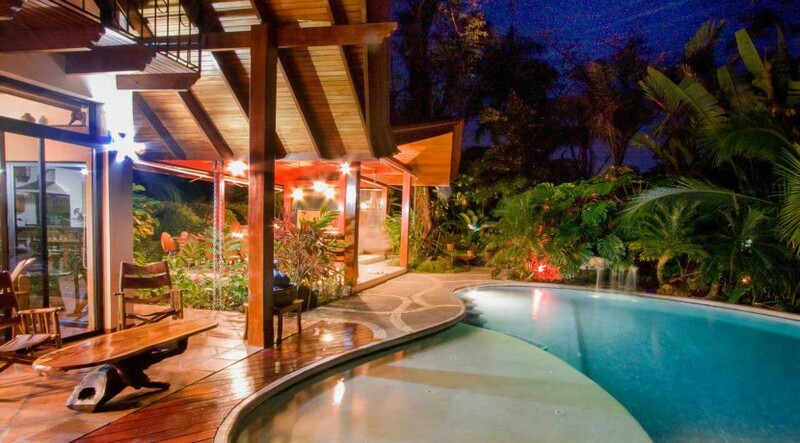 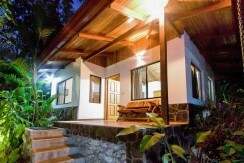 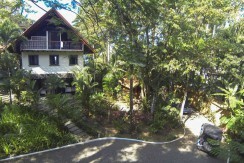 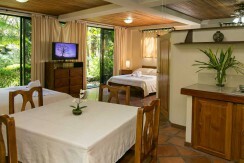 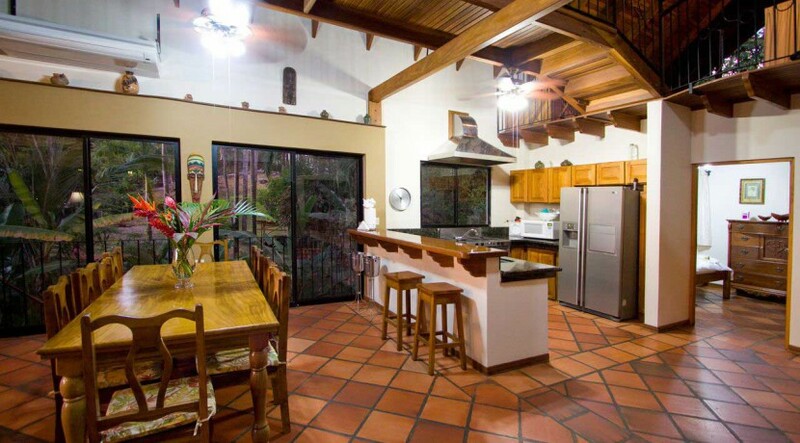 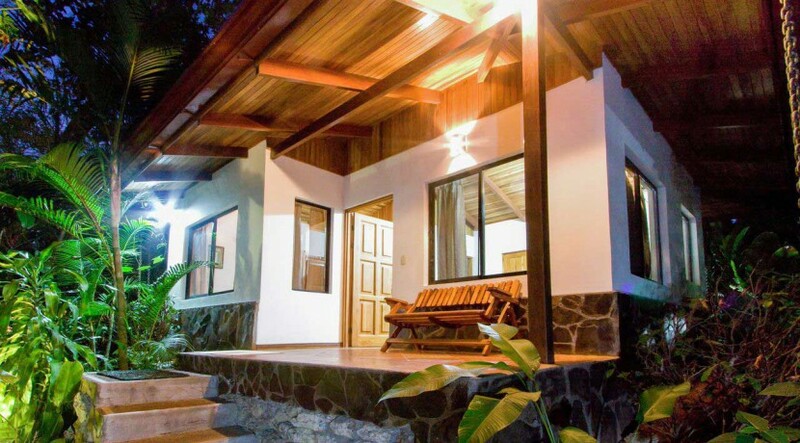 This luxury home is one of the most exclusives and successful luxury rental estates in the region and has a unique design and construction style which makes the home distinctly “Costa Rican”. 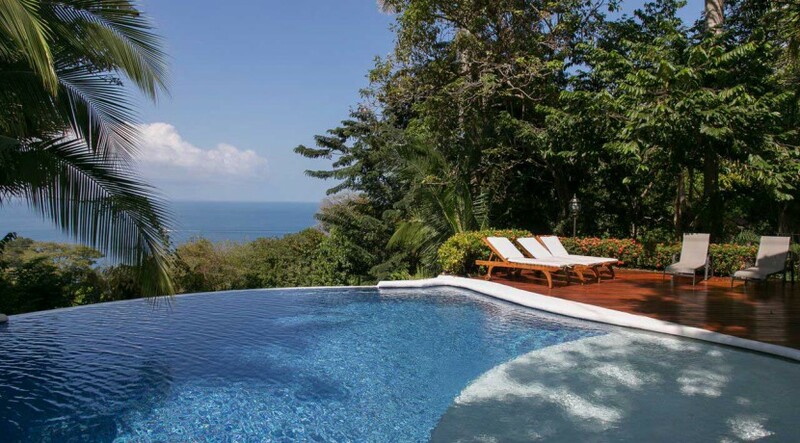 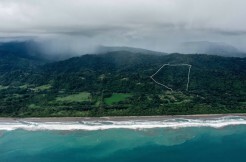 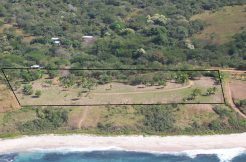 With its stunning ocean views and magical sunsets, as well as a prime location just a short hike from one of the areas most secluded beaches at Playa La Macha, this luxury estate home is a true escape and the epitome of the Pura Vida Lifestyle. 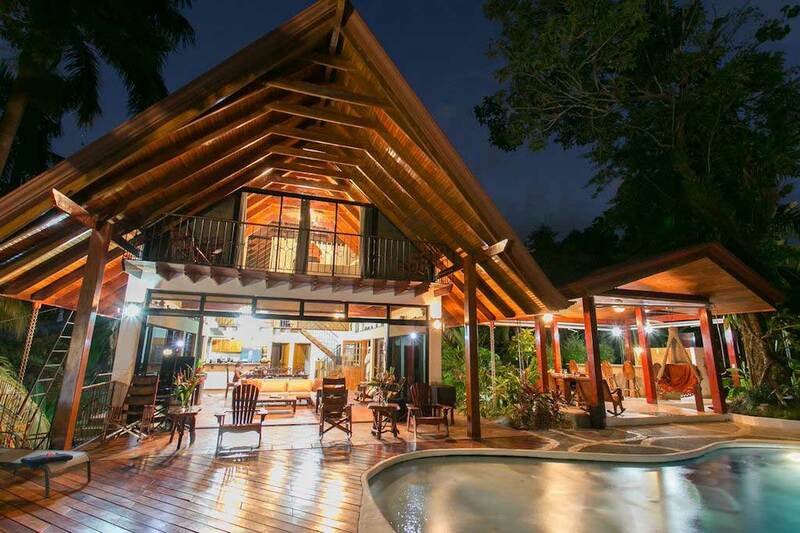 Featuring a total of 6 private suite bedrooms and 6 baths in a fully gated compound, this home provides both privacy and security for its guests and owners. 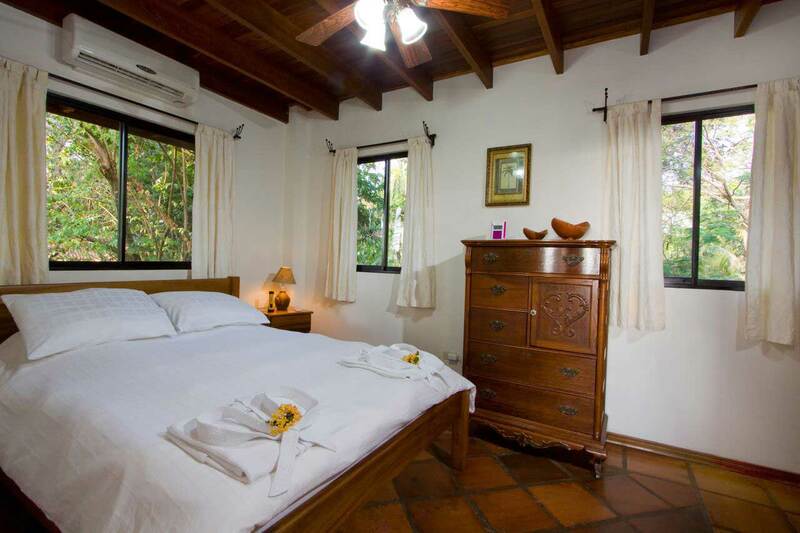 All of the bedrooms are air conditioned and each is out of site of the other bedrooms making for a dynamic estate where groups can share space in the enormous common areas and terraces, but retain privacy and intimacy in the comfort of their suites. 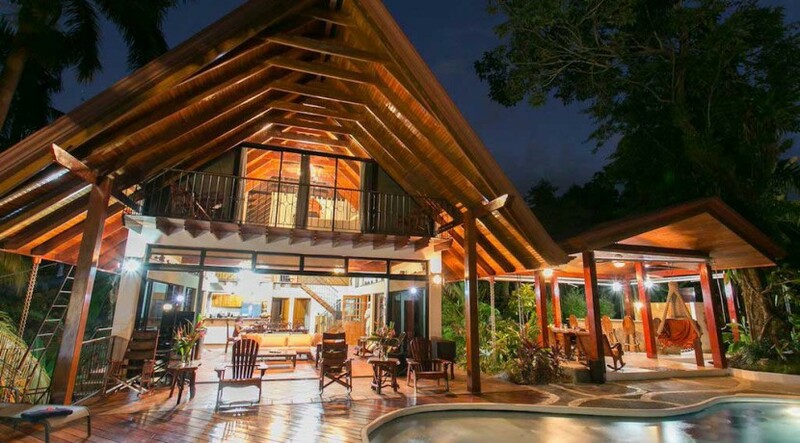 The main house is a full 4 bedrooms which has been hand crafted with exotic tropical hardwoods and stones, include expansive use of Almond Wood which is one of the most spectacular and valuable woods in the world. 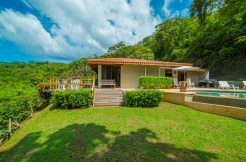 The main house and common areas are designed to enjoy the wonderful breezes with huge sliding glass windows all around the main living area and lofty 30 foot ceilings. 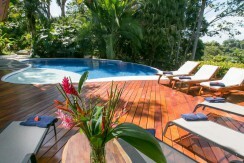 The common areas spill onto a newly expanded pool deck area and a nearly 1,000 sq. foot Rancho/BBQ area. The Rancho features a large plasma TV and incredible hardwood dining table with seating for 17 – a favorite spot for relaxing, soaking in the views and watching the wildlife in the gardens. 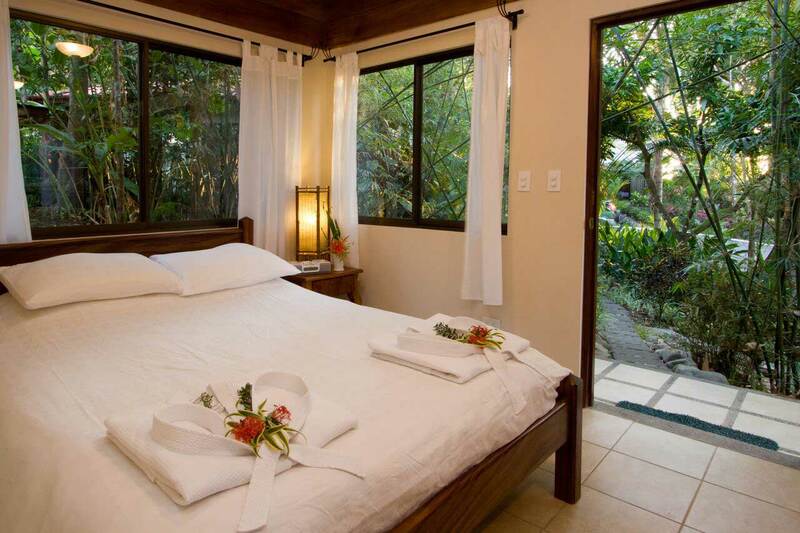 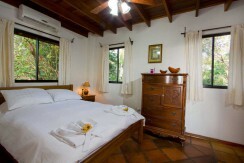 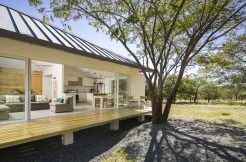 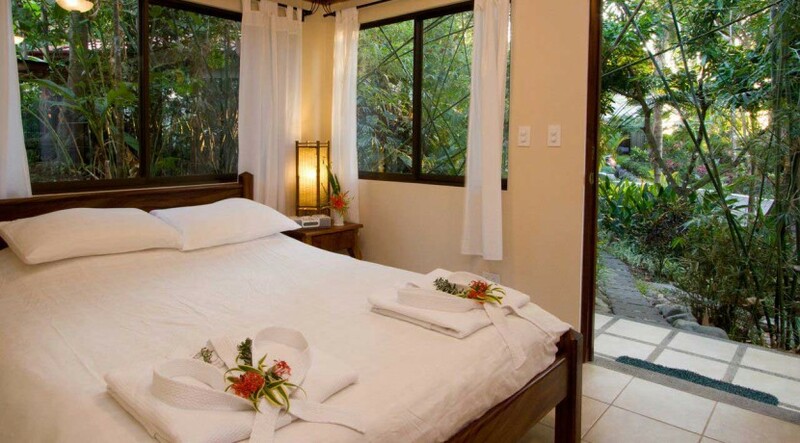 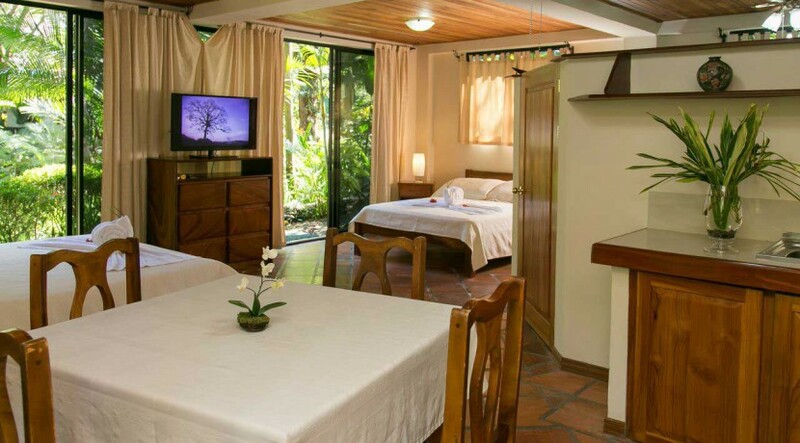 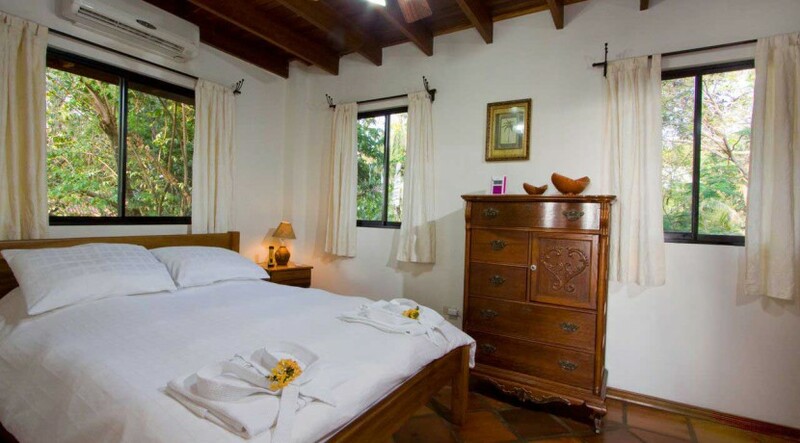 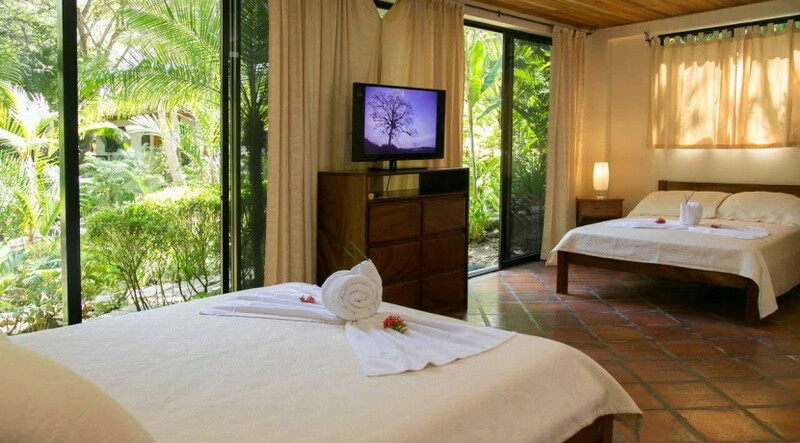 There are two additional private casitas on the property as well, each with its own full on suite bath which ideal for families or owners who want to have guests on site but with more privacy. 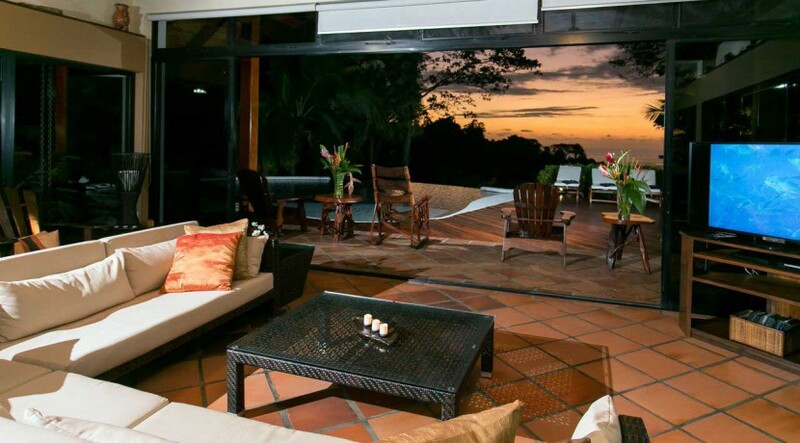 This incredible home is one of the few properties which provides the space, area, views and privacy so important to creating a sense of grandeur, privacy and exclusivity. 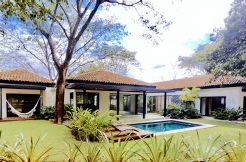 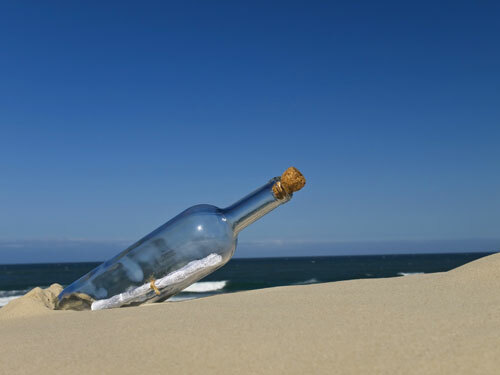 In addition to the expansive feel and luxurious setting, the home also has a turn key ready and lucrative rental business already in place and growing in terms of total income each year. Inquire now for more information on this one of a kind estate.